A new potential treatment may be able to reverse osteoporosis using stem cell therapy. The findings come from the University of Toronto and The Ottawa Hospital, where the researchers are working on a possible stem cell injection in order to reverse osteoporosis, a bone disease. Osteoporosis affects nearly 200 million individuals worldwide, most of them women, although the risk of osteoporosis is equal for both sexes. In osteoporosis, the inner structures of the bones begin to diminish, making the bones thin, less dense, and lose their function. Osteoporosis increases the risk of fractures, with hip fractures being the most common injury in osteoporosis. The researchers injected osteoporotic mice with MSCs from healthy mice. MSCs are able to become bone cells and they can be transplanted from person to person without matching – unlike in blood transfusions, for example. After six months of the injection, the osteoporotic bone had become healthy and functional. Researchers from the Florida campus of The Scripps Research Institute (TSRI) have uncovered a therapeutic approach that could potentially help develop bone-forming cells in osteoporosis patients. The study focused on a protein known as PPAR and its impact on stem cells derived from bone marrow. These cells can develop into many other cells and can have large implications on many therapeutic applications. The researchers already knew that a partial loss of PPARy in genetically modified mice could lead to an increase in bone formation. In order to determine if they could replicate these results using a drug, the researchers combined a variety of structural biology approaches to rationally design a new compound that could repress the biological activity of PPARy. 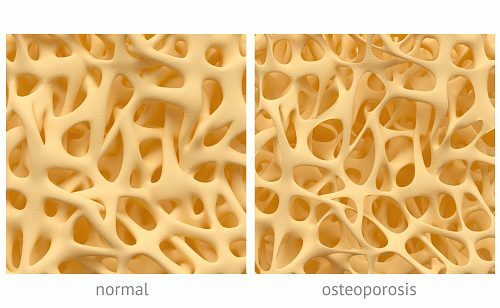 When the human stem cells were treated with a new compound called SR2595 (SR=Scripps Research), there was a statistical increase in formation of osteoblasts, which are known to form bones. “Because PPARG is so closely related to several proteins with known roles in disease, we can potentially apply these structural insights to design new compounds for a variety of therapeutic applications. 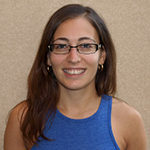 In addition, we now better understand how natural molecules in our bodies regulate metabolic and bone homeostasis, and how unwanted changes can underlie the pathogenesis of a disease,” added first author David P. Marciano.